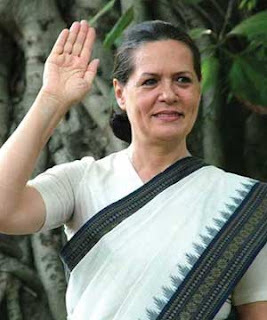 After so many assurances, talks, letters, sense of house given to Anna, what he really got is nothing. 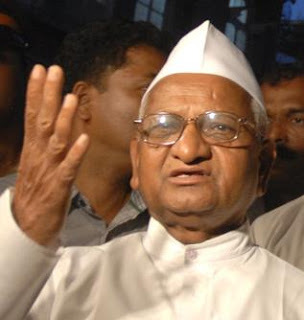 So, Anna on this date 17th of December unable to control his anger and written again a letter to the Prime Minister saying, "Quit, we don't need a government like this." It is very much expected from an old man of 78 or so, how much he can fight for the same cause again and again. If he is believed, he has been fighting for this cause for more than 3 decades, that's really commendable. For whom is fighting, do he has any own agenda or fruit out of this protest, may be no. He is not going to enjoy this corruption free India in his, life he knows it well, but he surely want a step for that India, which may be corruption free. "What's wrong in it, if a person thinks to make his country corruption free." Its now more than a year passed, govt has not shown any such great assurance from his side or has really shown the country his will to pass the bill. At least govt should have shown or made the countrymen feel that "yes, we will pass this Lokpal Bill and implement almost all or as much convince-able by the Anna Hazare. Govt should also have cleared his stands, what he want and what not. Still govt has not revealed the standings of his party and alliance, but have listened to all the stands made by different parties in opposition and their alliances. If Anna says, that if you are so weak that you can't bring this Lokpal Bill, then you should quit as govt, then he don't seems to wrong. As a govt is one, who can take decision, pass bill and can make policies on their will and can take the responsibility of these amendments. The other aspect which seems to be arising here is the foul bid of opposition, BJP, JDU and left may be planning to vote against the bill and when the bill is tabled and if congress unable to prove the majority, they may have to suffer the heavy consequences. As BJP, JDU and Left cannot be believed for their words. They too are very known betrayals. How anyone can believe these opposition parties. These party in opposition will talk in discussion in the favor of JanLokpal Bill and at the time of voting which is kept hidden, they will vote against the Bill. And hence govt will be going to suffer for all these and will be held responsible for not able to pass this Bill. The other way is to pass the Bill alone by the govt themselves without taking the opposition in confidence, just like the way they tried doing in FDI, which failed due to the bid conspired by opposition. So, in this case if govt passes the JanLokpal Bill in the manner they wanted FDI in retail, Opposition may not be able to agitate against this strongly, as if the opposition does they will come into the radar of people's emotion and they may not get any vote in the coming election. Note: I don't know if the last suggestion may be implemented through constitution or not, but of course this could help the govt to pass the bill and get roses in return.